I have a few go-to meals for when I’m alone at home (which isn’t actually too often, but since my boyfriend started working part-time, I have 2-3 lunches a week that I eat alone buhhh) and this vegan Sweet Potato Curry is one of them! 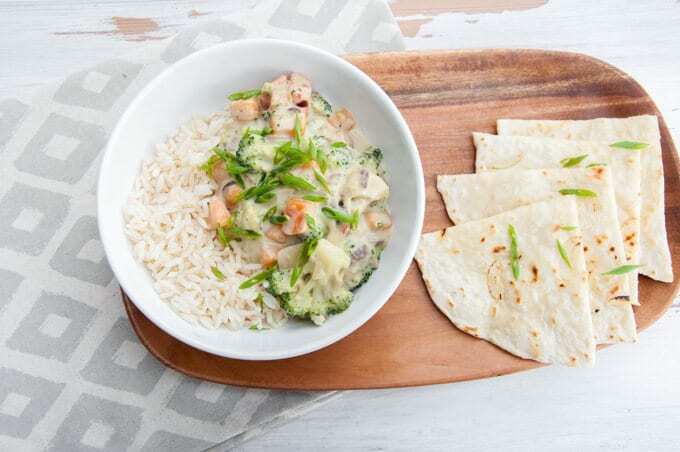 A simple Thai-inspired coconut milk curry is the perfect food for those I-don’t-know-what-to-cook-but-I-want-to-eat-something-comforting days. 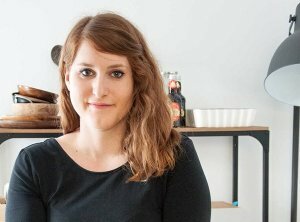 I’m terrible at cooking for one, so I always make 2 portions. Mhhhh but I don’t mind the leftovers! 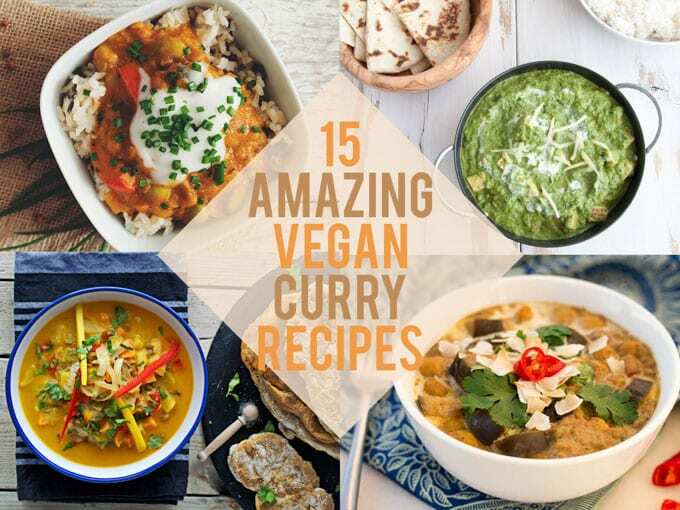 If you’re looking for more delicious curry recipes… Check out my 15 amazing vegan curry post! 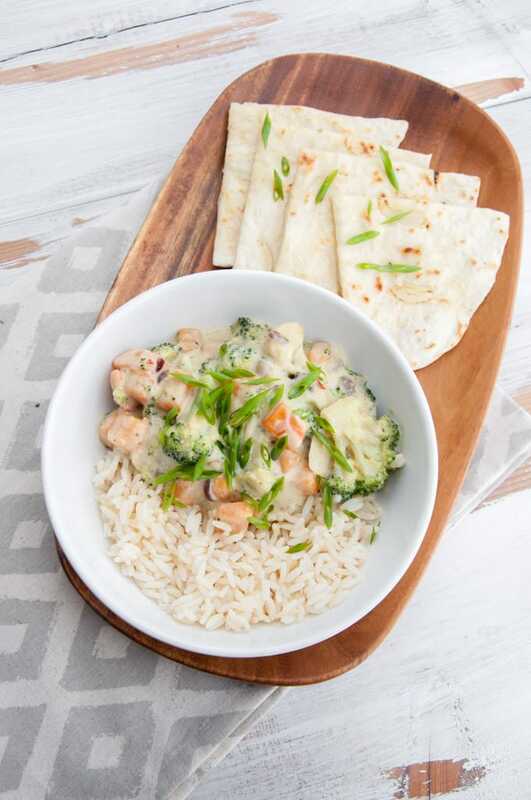 Recipe for a simple Sweet Potato Curry with broccoli, served over rice with garlic flatbread. 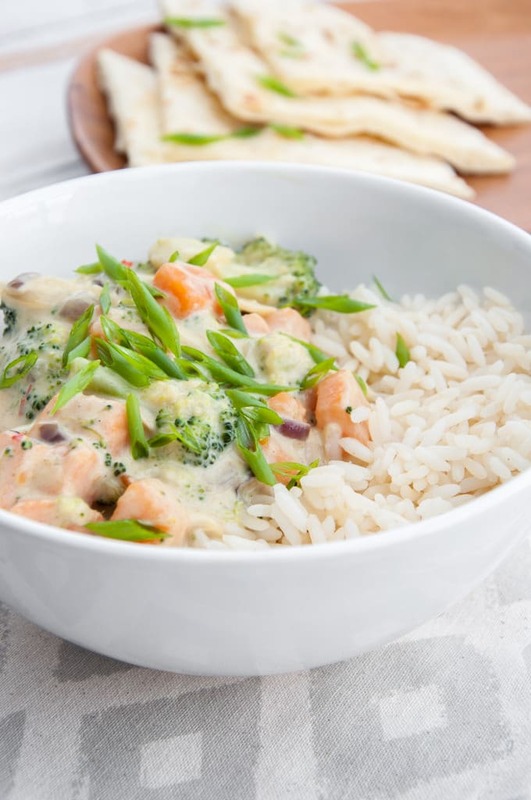 One of my favorite go-to recipes! Cook the rice on low to medium heat with 1 1/2 cups of water. Add a pinch of salt. Wash and cut the broccoli. Peel and cube the sweet potato. In a small pot add water, cook the sweet potato and the broccoli for about 8 minutes. In a pan with a teaspoon of olive oil, add the minced ginger, diced red onion, minced chilis and sliced garlic when the oil is hot. Let it sautée for about 2 minutes. Add the drained sweet potato and broccoli. Leave it for about 4 minutes on medium high heat, turn down the heat to low. Add coconut milk and curry powder. Let it cook for about 10 minutes. Add the salt to taste. The curry is best served over some rice, with the garlic naan. Top with finely chopped spring onion. But you can of course mix up the side dishes! For the garlic flatbread, mix all the flour, salt and baking powder in a bowl, then add the oil and water and give it a mix until it's a soft dough. Roll it out, add the garlic slices on top, roll them into the dough. Prepare a very hot flat pan, add the garlic flatbread. Turn once there are bubbles on the surface and until it's nice golden brown. Brush with vegan butter before serving. 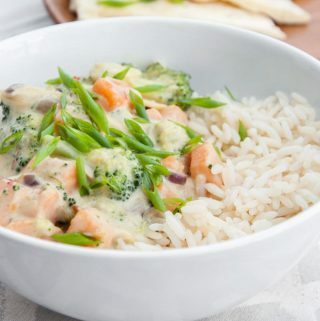 Mmm, this looks both healthy and comforting – sweet potatoes in creamy coconut sauce sounds wonderful. That’s sad that your plants are dying! :( I had a pretty good collection of herbs on my window sill at some point during the summer but that didn’t last very long either.